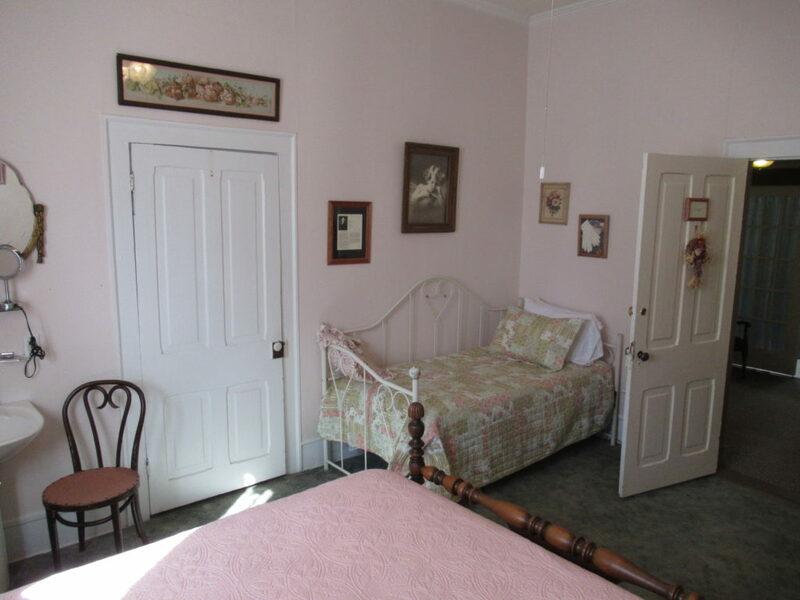 There are a total of (8) Guest Rooms between the two houses. 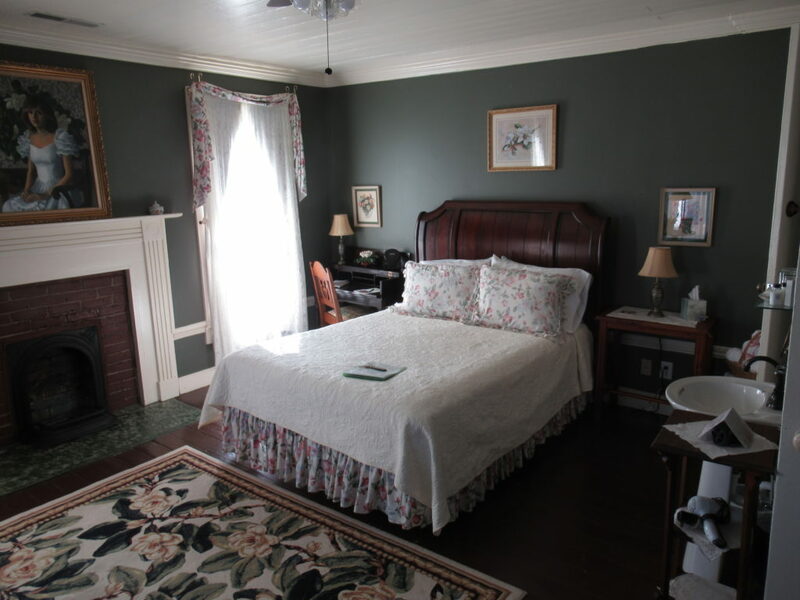 The main house known as the Carrier- McBrayer House is where the innkeepers live on the first floor, where you check in and where breakfast is served in the Victorian Dining Room. 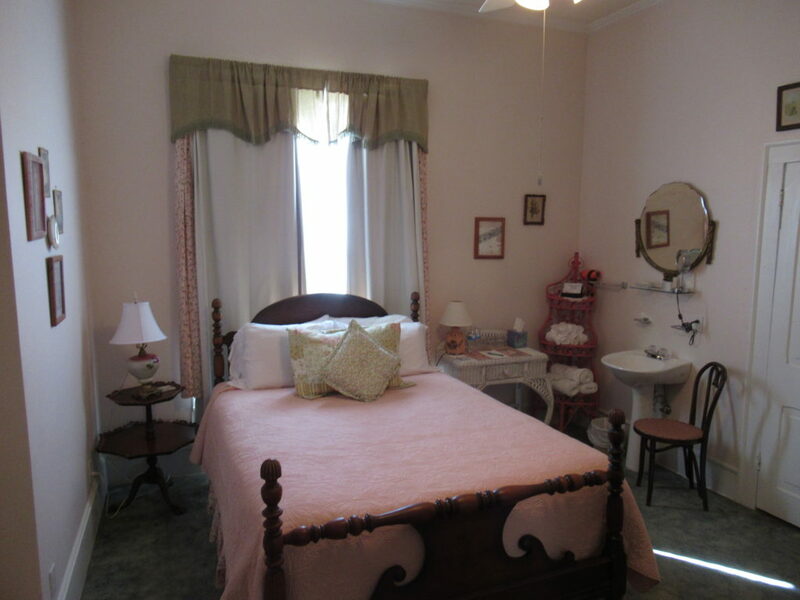 This house has (3) rooms on the second floor: a deluxe king, deluxe queen and standard queen. The second house next door is known as the Carrier-Ward House with (5) Guest Rooms; (2) on the first floor and (3) on the second floor. 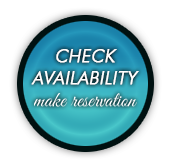 Call us with any questions about which Guest Room is perfect for you. The Bechtler Deluxe King Room is named after Christopher Bechtler who minted the first US Gold Coin. 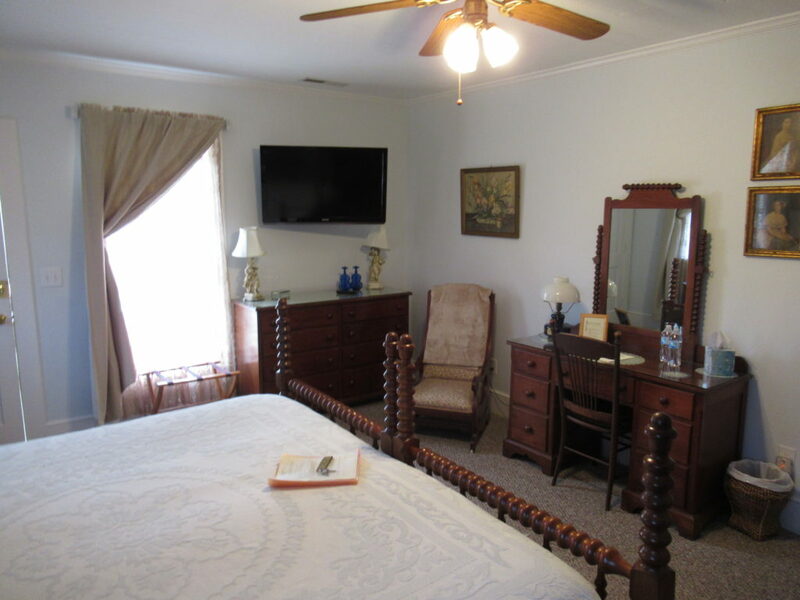 This room includes a private bath with Jacuzzi tub, individually controlled thermostat, wireless internet, cable TV, mini refrigerator and microwave and can be accessed by a private entrance from the side parking lot. 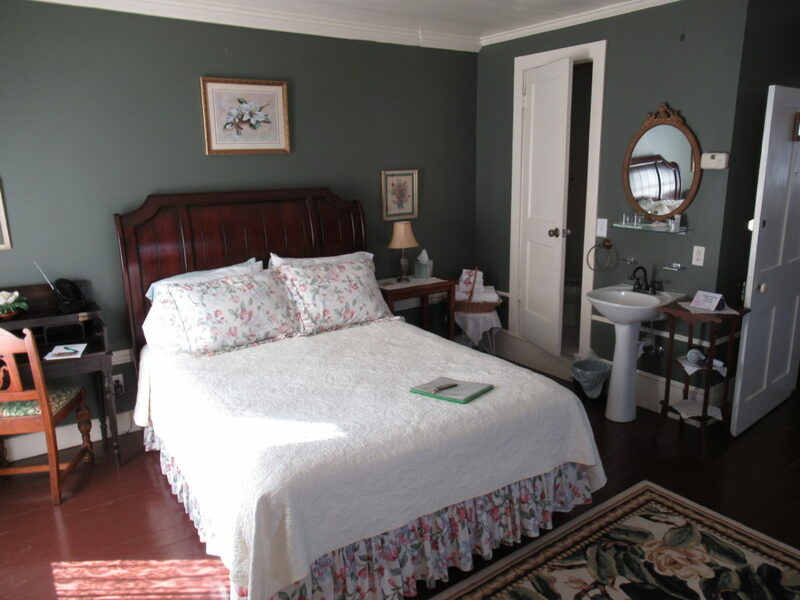 The Haynes Deluxe Queen is one of our favorite rooms. 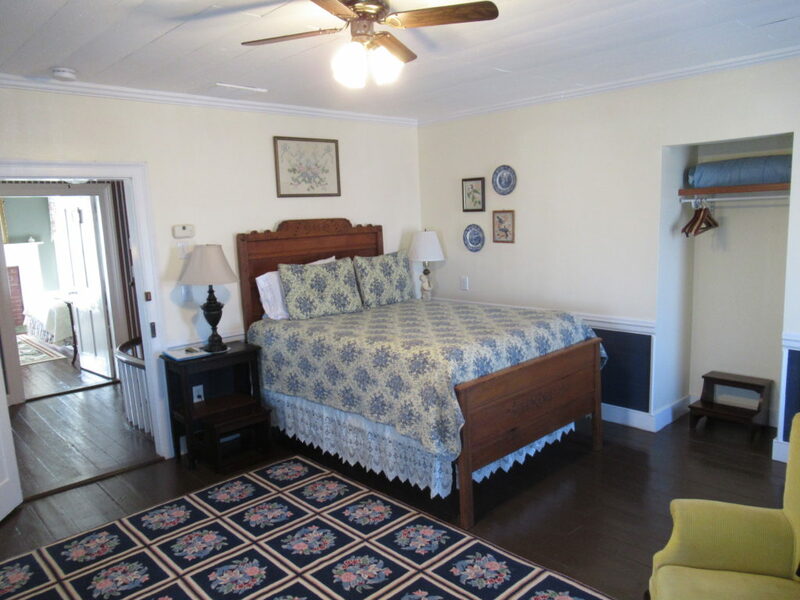 It is part of the original 1835 floor plan and has original windows, floor, fireplace and ship lap ceiling overlooking Main Street. The bathroom has been updated with a large walk-in shower and plenty of space on the vanity to spread out. 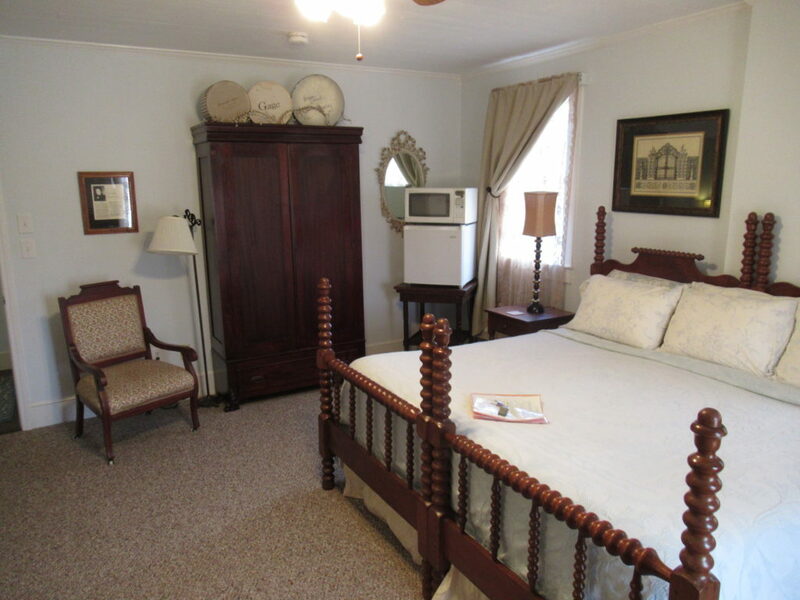 In addition to the private bath, the room includes individually controlled thermostat, wireless internet and cable TV. There is a Keurig Coffee Station in the hallway with fresh baked cookies, teas, coffee, hot chocolate and mini refrigerator. 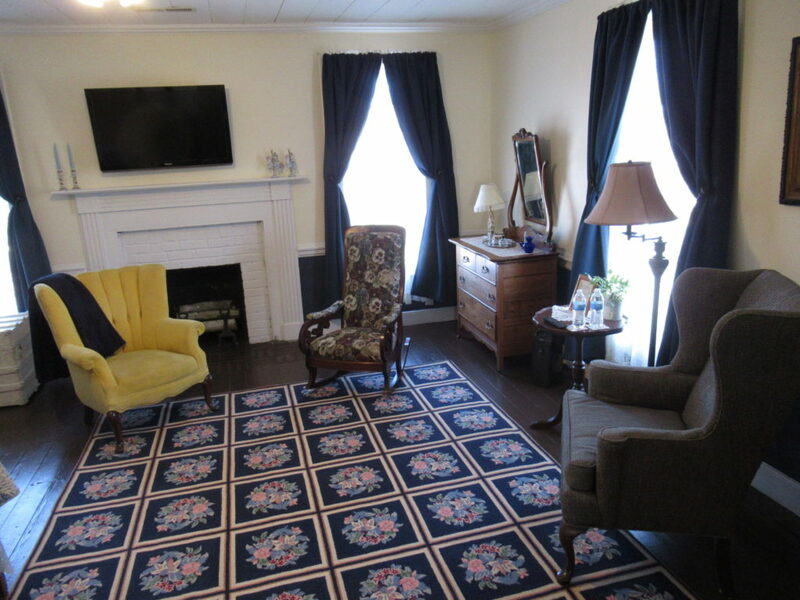 The Washburn Queen Room is part of the original 1835 floorplan with original floors, windows, ship lap ceiling and fireplace and is named for Dr. Benjamin Washburn. The room faces Main Street and you can hear the waterfall from the koi pond. A private bath with toilet and shower stall along with a pedestal sink give you the privacy you deserve. 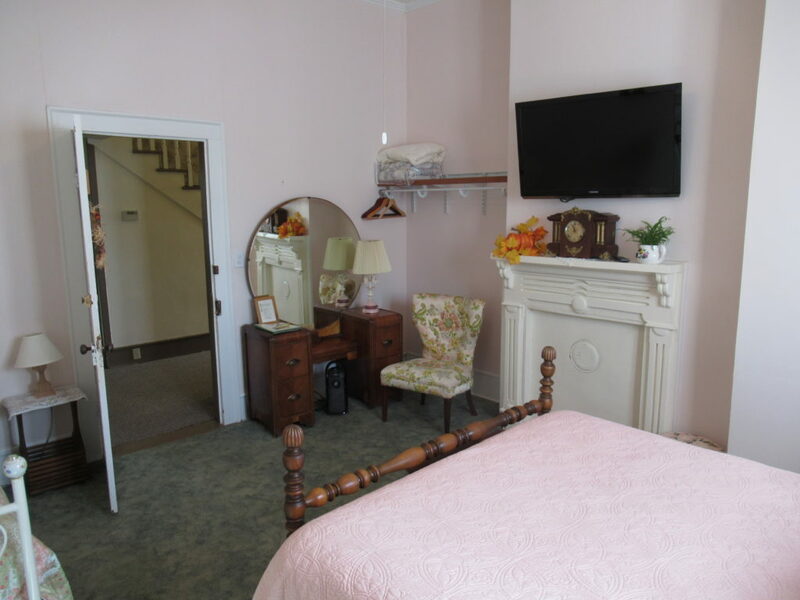 The room includes individually controlled thermostat, wireless internet and cable TV and a Keurig Coffee Station in the hallway with fresh baked cookies, teas, coffee, hot chocolate and mini refrigerator. 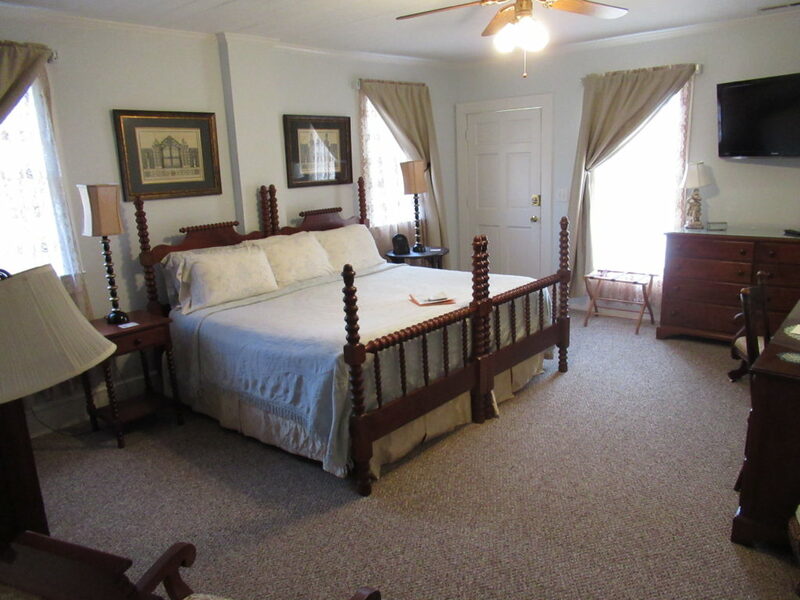 The Coxe Queen Room with Daybed is on the 1st floor of the Carrier-Ward House and can accommodate 3 people. It is one of two rooms on the first floor for those who have mobility issues. 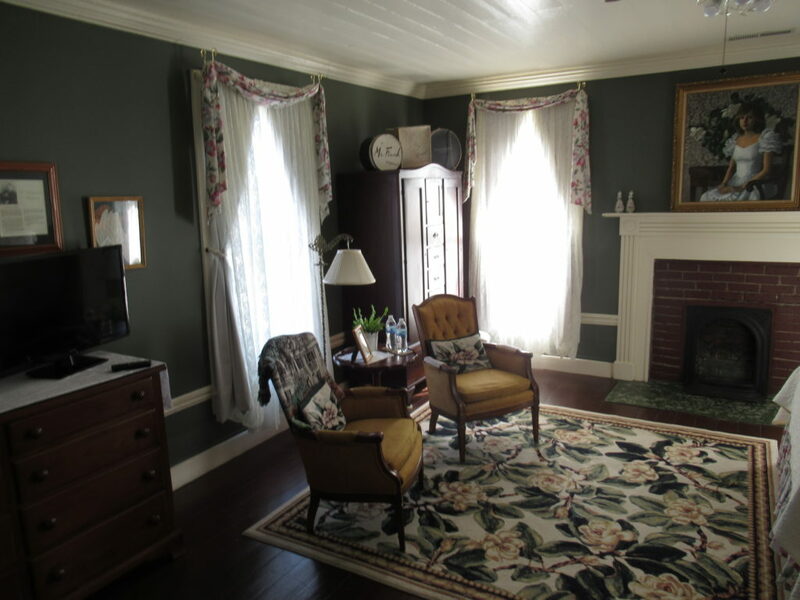 The Carrier-Ward House has a Parlor with 1920’s pump organ, dining room/kitchen combo, 3 season screen porch on the back and large front porch with rocking chairs. A Keurig Coffee Station with an assortment of coffees, teas, hot chocolate and fresh baked cookies along with refrigerator/freezer and microwave are available to our guests in the kitchen. A private bath with toilet and shower stall along with a pedestal sink give you the privacy you deserve. 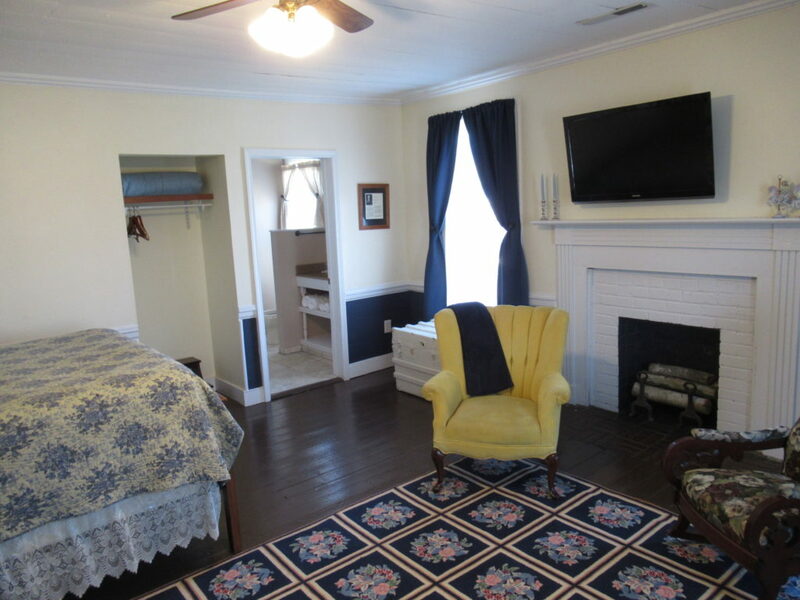 The room includes individually controlled thermostat, wireless internet and cable TV. A Keurig Coffee Station in the kitchen with fresh baked cookies, teas, coffee, hot chocolate and mini refrigerator.